Neema Pazargad fixes pianos. The 41-year-old tech has worked on concert grands for Grammy-winning musician and Juilliard professor Emanuel Ax and celebrated French pianist and recording artist Jean-Yves Thibaudet. He has tweaked Frank Gehry’s piano—an emerald green Steinway Model B—in the legendary architect’s Santa Monica home. Currently he’s doing a major rebuild on a Baldwin last owned by the late Earl Wild, the only pianist to play for six consecutive U.S. presidents. In fact, the piano is here in Pazargad’s workroom right now. He walks over to the instrument, whose hammers have been flattened to unsightly nubs from all that pounding, and strikes one of the keys. Pling. “See, that’s not a nice sound,” he says. 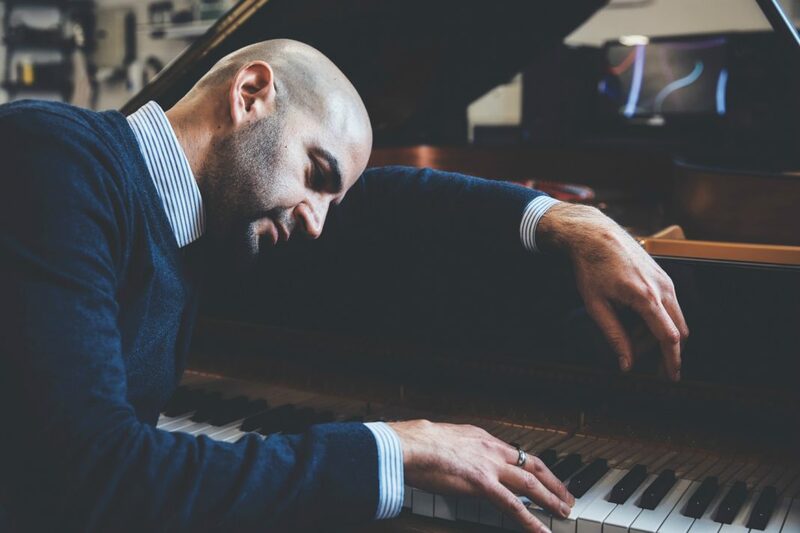 Pazargad is the director of piano technology at downtown’s Colburn School, which is considered one of the most competitive conservatories in the country (in a typical year, the school accepts less than ten percent of its applicants). When he tells non-musicians what he does for a living, most people figure he’s a tuner. Which he is. But at a place like Colburn, tuning is the least of his worries. Each of the school’s pianos has to meet the exacting standards of its world-class visiting artists and elite faculty—not to mention some of America’s most gifted young musicians. If there were only a handful of pianos Pazargad had to babysit, it would be a pretty low-key gig (pun intended). But there are 159—one of the biggest assemblages in the city. Stroll the Colburn campus with Pazargad and you’ll see concert grands everywhere, from the school’s state-of-the-art performance spaces to its practice rooms and faculty offices. Hidden in every nook and cranny are gleaming pianos in impeccable shape: Kawais, Yamahas, Steinways—long considered the world’s finest—and eight über-rare, hand-built Faziolis imported from Italy. “We have Faziolis in our practice rooms, which is ridiculous,” Pazargad says (the factory churns out only about 140 pianos a year). In March he and several Colburn bigwigs will fly to Germany to handpick a Steinway built in the company’s Hamburg factory. Many consider Hamburg Steinways more desirable than those crafted in New York because, well, Hamburg. “In the U.S., everybody wants a Hamburg,” Pazargad says. The piano comes courtesy of a generous donor (top-notch concert grands typically run between $200,000 to $250,000 a pop). “That’s a Ferrari,” he notes. To hear Pazargad tell it, pianos are sort of ticking time bombs. It’s a point of constant amazement for Pazargad how little most pianists know about their chosen instrument. “Woefully ignorant,” he calls them. To be fair, there’s a lot to wrap your head around. The modern piano is a complicated beast, composed of more than 12,000 moving parts: Each of the 88 keys of a grand piano has 35 to 40 possible points of adjustment. To hear Pazargad tell it, pianos are sort of ticking time bombs. A concert grand weighs about half a ton, with up to 40,000 pounds of constant tension. The instruments are typically 80 percent wood, a material that is acutely susceptible to changes in weather and humidity. A 300-year-old Stradivarius violin can sound better than its brand-new successor; not so with a piano, unless you remove its soundboard—the instrument’s amplifier—and replace it, which is something Pazargad has often been called upon to do. Bidini sees Pazargad and his team of five technicians as invaluable, the “beating heart” that ensures that all the pianos at the school are in perfect working order. “A pianist without a good technician should do something different in life,” he says. Of course, it helps that the school’s most frequent piano players—the students—are not the type to set their Cokes on top of a pristine Steinway. Pazargad peeks into a practice room, which is, no surprise, immaculate. “When you put nice pianos in these rooms, the kids take ownership,” he says. “They want to protect them.” And that’s music to his ears.